Although our Grand Opening is the 5th of December, we are going to do a soft-opening over this Thanksgiving Weekend. Join us Friday the 29th of November, Saturday the 30th of November and Sunday the 1st of December. 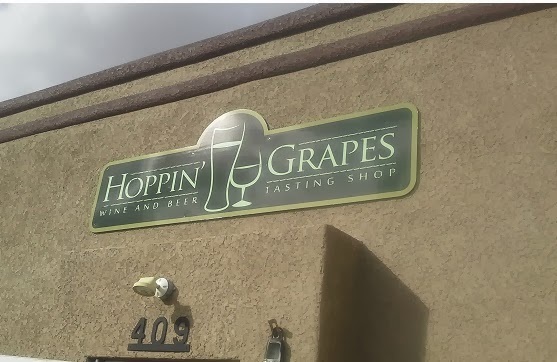 Be the first people to to see our nearly finished wine and beer tasting shop right here in Sierra Vista. Come out and support local business on Small Business Saturday! So, have a great time with family on Thanksgiving! After that, get those great Black Friday offers early in the morning out in Sierra Vista, AZ. After that, head over to the newest place in town and sample some great wines! We wont have everything going yet, but we will have wine! What else do you need to get away from the hustle and the bustle for a while? That is about all you need. A nice wine or five. Join us as we offer a special tasting of five wines for $10 and you will keep the souvenir glass! 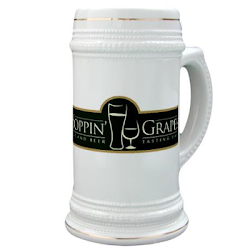 Will you join us at Hoppin' Grapes Wine and Beer Tasting Shop in Sierra Vista, Arizona? Visit our facebook page and let us know! Tell your friends. Invite the family and come make memories at Sierra Vista's newest gem!